The balance and trade-offs between performance and offshore sea-keeping characteristics for cruising yachts have been debated to no end. 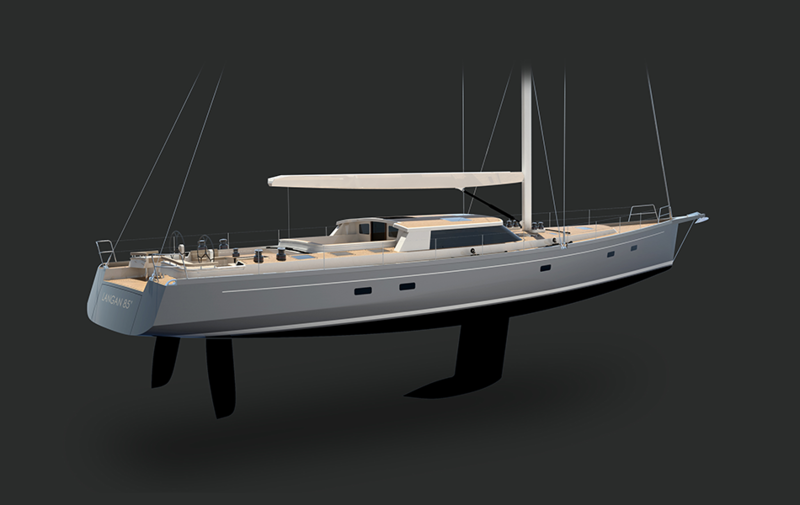 After careful attention to hull form, displacement, structural design, sail area and sail handling aspects, Langan Design Partners has drawn a modern 85-foot performance cruising yacht that optimizes and harmonizes these competing features. 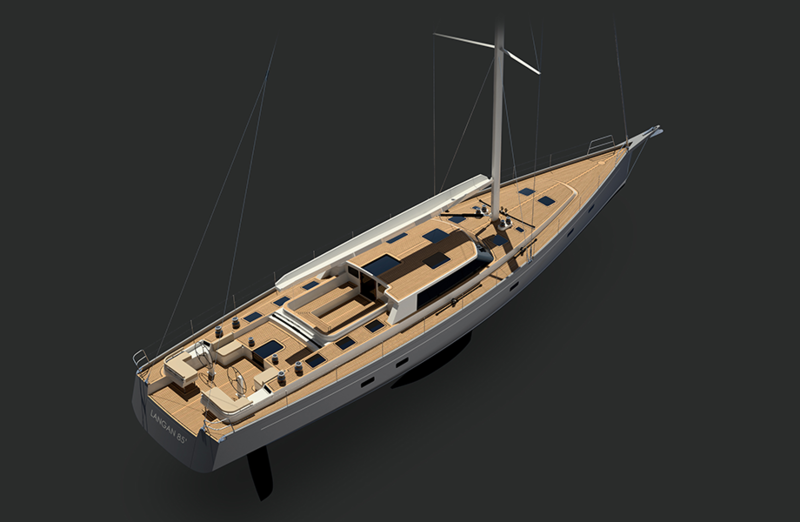 The beam is carried aft, which along with a chine development allows for powerful off-wind capability, improved form stability, additional volume for interior accommodations and a more efficient deck layout. A fold-down transom allows for water/“beach” access. The tender storage is located between the twin rudders – this compartment can also be used as a lazarette when the tender is deployed. 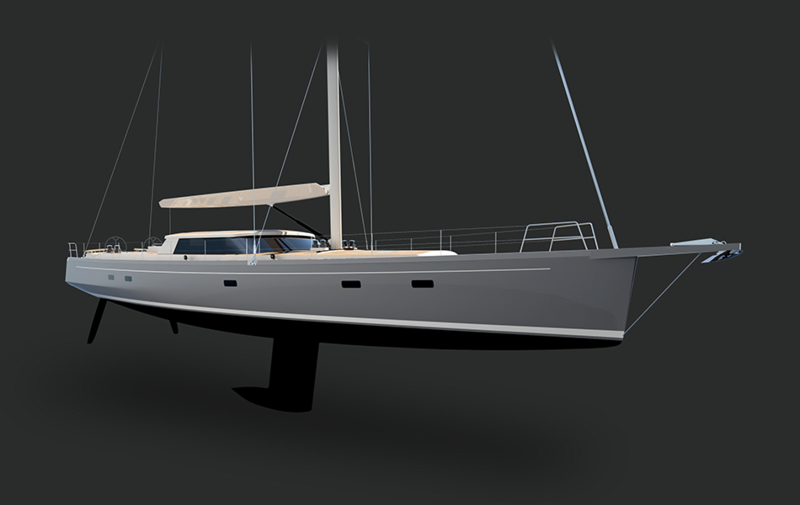 The overall sail area has been ramped up from the firm’s previous designs of this size, while displacement has been reduced proportionally with a more aggressive hull structure. 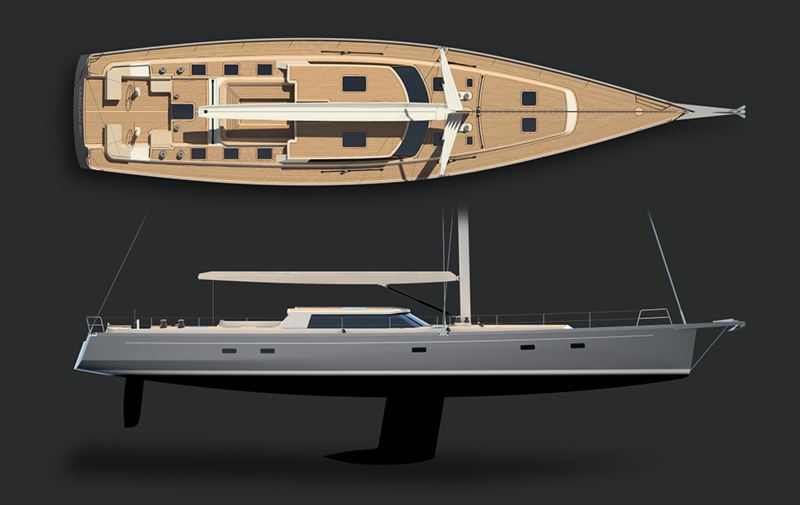 The end-result is a more powerful yacht that still meets blue water cruising requirements. A fixed bowsprit, set two meters forward of the head stay, allows for a top-down asymmetrical spinnaker. A low-profile anchoring system has been designed into the bowsprit. A modern low-profile pilot house, with a helm station for sail handling and engine controls, provides protection from inclement weather and extends the cruising range to include the possibility of high-latitude sailing as well as protection from the sun. 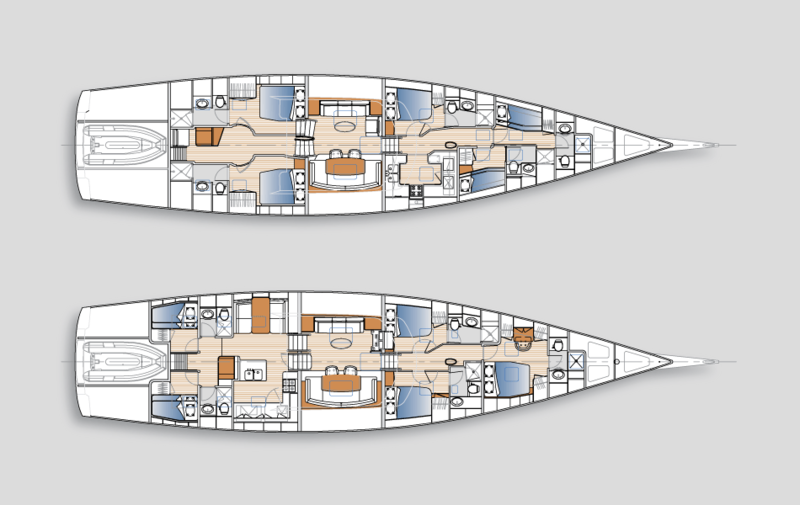 Finally, two separate layouts have been drawn: a more conventional “crew forward” configuration which will be more familiar to American sailors, and an “owner forward” layout, which is more typical of Mediterranean yachts.